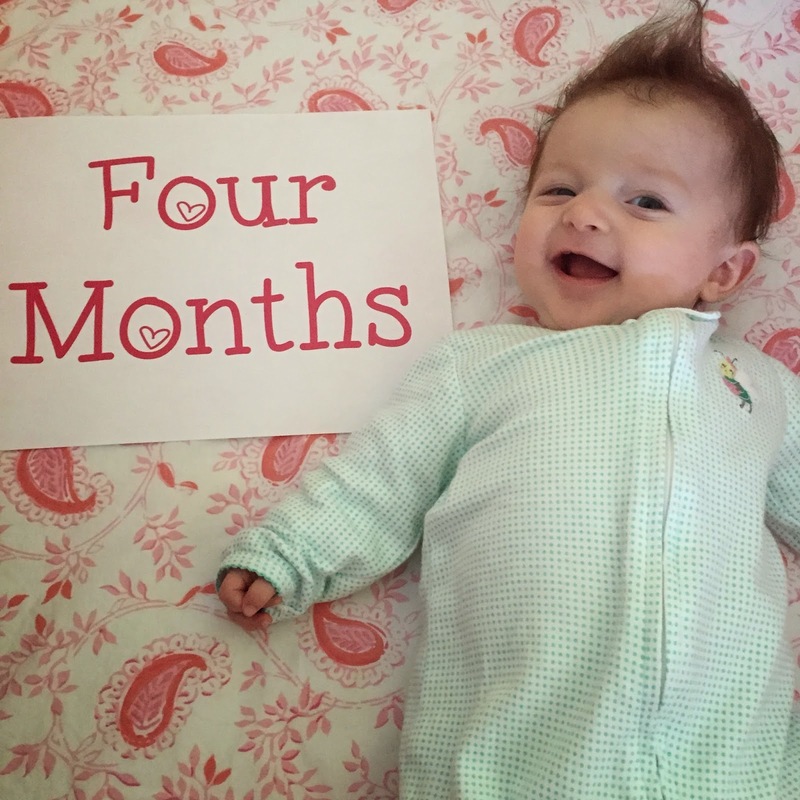 On April 11th, my sweet Paisley Jean hit the four month mark! Crazy! 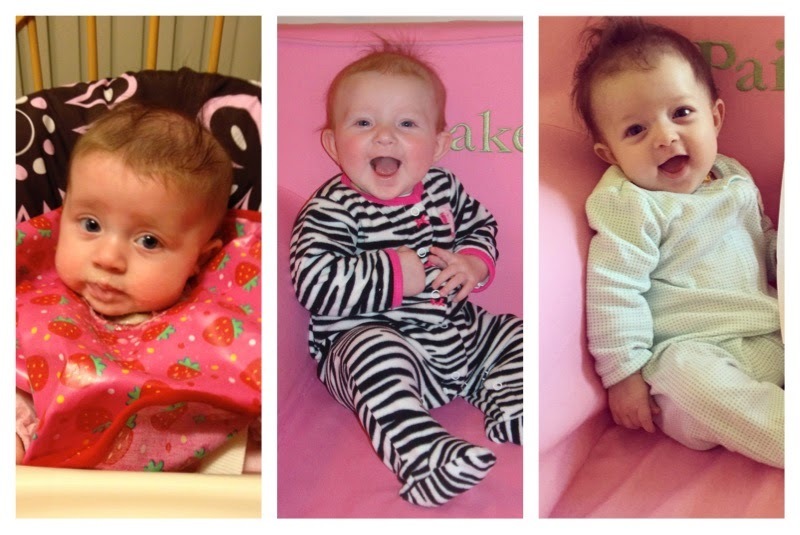 Four months is when I officially consider my children to be out of the "newborn" stage! SO much happens after four months. This is the age where they start rolling around like crazy. They also work on sitting up. You can begin to feed them little tastes of food! Lots of good times and developmental milestones ahead! We had Paisley's four month well visit at the pediatrician's office this morning! She got a clean bill of health! Our doctor was impressed with how much weight she puts on her legs when standing. She was also very happy with her level of head control! Then Paisley had to get two shots - ugh watching them get vaccines is just awful! Paisley is still the most petite of the Hilosky girls!